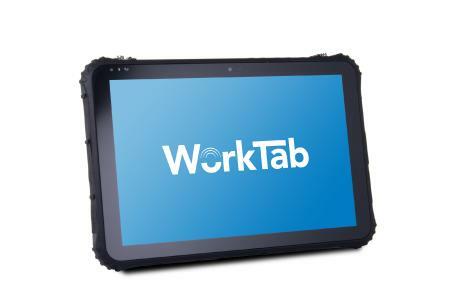 4logistic, manufacturer of forklift terminals, industrial computers and mobile data acquisition solutions, presents another tablet from the WorkTab series. 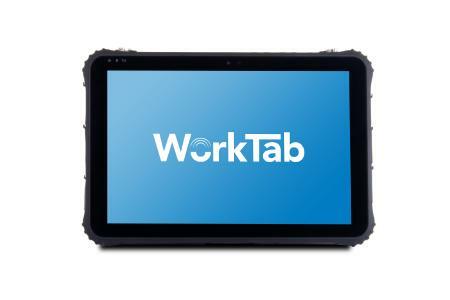 The WorkTab WT8012 is an industrial 12.2" tablet with Windows 10 Professional or IoT Enterprise. 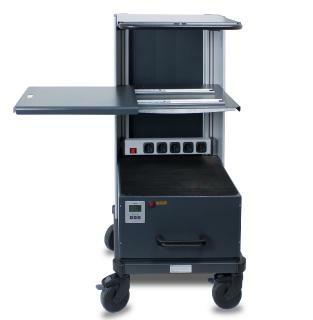 It is built to the military standard MIL-STD-810G, is especially robust, water- and dustproof and has fall protection. This is complemented by an extensive range of functions ideal for field service, technician assignments, warehouse, logistics or on construction sites. The WT8012 has been specially developed for use on the road and offers not only a large display but also a 12,600 mAh battery, which provides sufficient power for hours of use on the go. The battery can easily be replaced directly by the user for longer periods of use. The housing offers all-round IP65 protection and can withstand falls of up to 1.2 m.
As a working tool, the WT8012 features a wide range of functions with numerous serial and digital interfaces as well as 802.11ac WLAN, GPS, LTE Internet connection, NFC, 2D barcode scanner and two cameras. For stationary use, an additional office dock is available which offers additional connection options. The modern architecture with an Intel Quad-Core processor offers sufficient performance for all common work scenarios. 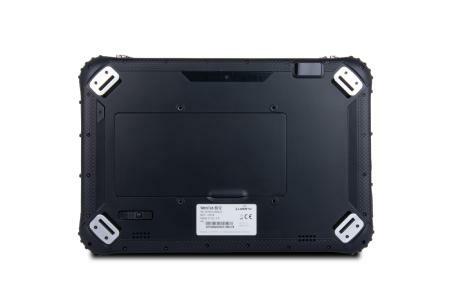 The tablet has 4 GB internal DDR3L memory and up to 128 GB SSD memory. In addition, the memory can be expanded by a further 128 GB via a micro SDXC card. 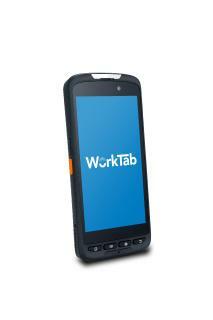 Robust industrial tablet for field service, logistics, construction sites, etc. "Thanks to its robust design, the WT8012 is the perfect companion for anyone who needs to work with a computer on the move," says Product Manager Markus Nicoleit about the new tablet, "The long battery life coupled with the numerous functions make an infinite number of application scenarios possible". 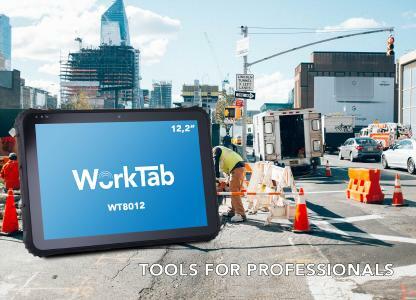 WorkTab WT8012 will be available from January 2019 through direct sales or authorized system partners. Further information on the products can be found on the manufacturer's website at www.4logistic.de . The manufacturer 4logistic from Baden-Württemberg supplies solutions for mobile data acquisition, services and products for wireless LAN, forklift terminals and industrial computers for logistics and industry. The company has set itself the goal of offering innovative solutions with a high rationalisation effect. New ways are gone, which make it possible to offer modern and low-priced industry standards. The company was founded in 2006 in Straubenhardt. 4logistic operates two sites in Straubenhardt and Pforzheim.